Thank you all for participating in giveaway week here at GingiberSnap! 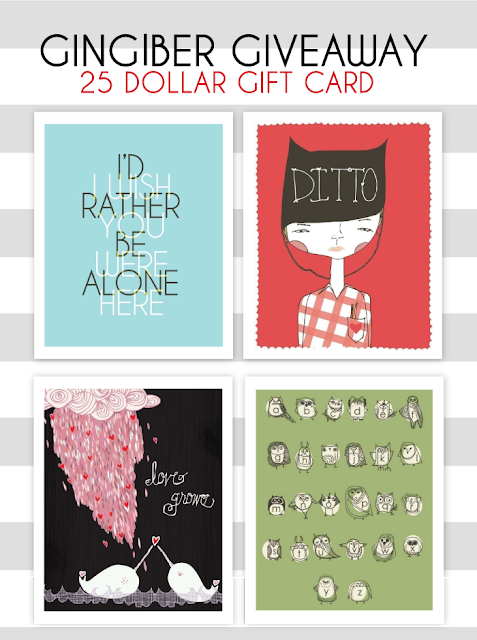 The final giveaway today is a $25 gift card to my Gingiber Etsy Shop. I hope that you enjoy! 2. Tweet " Giveaway Week @GingiberSnap www.gingibersnap.com"
Thanks so much! It has been so fun to share with you all of the amazing giveaways offered by all of these amazing artists throughout the past week!